From the small community owned slopes of Ferguson Ridge Ski Area in Eastern Oregon to the slopes of Mt Ashland in the south, Oregon offers unparalleled opportunities for outdoor winter recreation. Whether you are a skier, snowboarder or looking for backcountry trails for snowshowing, cross-country skiing and snowmobiling, Oregon has it all. And after your day’s adventure, get pampered at an Oregon Bed and Breakfast member inn nearby. The Innkeepers of Central and Eastern Oregon await your visit. Mt. Bachelor is one of the Pacific Northwest’s largest ski areas. Only 20 minutes form Bend and Sisters, Mt. Bachelor offers world class skiing and snowboarding from November through May. Famous for its deep, dry powder and with 3,683 acres of terrain served by a network of ten lifts, seven of which are high speed quads, there’s room for every interest and ability. Ferguson Ridge is a community owned ski area located just 9 miles outside Joseph, Oregon. With the highest base elevation of any ski area in the state (7,100 feet) and located in the Elkhorn Ridge of the Blue Mountains, Anthony Lakes has the recipe for light, dry snow. In the Cascades the ski areas in the Mt Hood National Forest provide downhill skiing and snowboarding, hiking, and cross country skiing. Mt Hood Meadows is the largest ski resort on Mt. Hood and Timberline Ski Resort is the only ski area in North America that’s open 12 months of the year with up to 3,590 vertical feet. Just about an hour from Portland and minutes from Hood River let the innkeepers in these regions provide a warm respite after your day in the crisp outdoors. 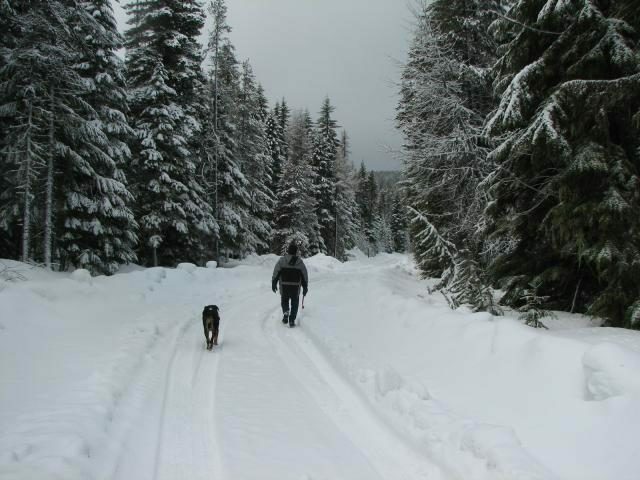 Crater Lake has the best Cross Country views along rim road and you can snowshoe the rim on free Ranger guided snowshoe hikes! So there you have it. The ski and snow adventure options are plentiful as are the inns of the Oregon Bed and Breakfast Guild. Oregon Bed and Breakfast Guild is ready to share Oregon with you: it’s environment, culture, and heritage. Combine gracious hospitality with ambiance at an inspected and approved Oregon Bed and Breakfast Guild member Inn.